2645 E. Trinity Mills Rd. Briarview is excellent; however, there is absolutely no smoking anywhere on the property. Nevertheless, it is very nicely laid out. The staff members are very friendly. We also liked the apartment. Everything was good; however, they didn't have that outgoing tell-us-what-you-need-and-we'll-handle-it thing that we needed to hear. For someone else, it may be OK. I think it is a great place. Briarview Memory Care is wonderful!! My mother lives here and is very content. The Memory Care Director, the Activity Director, the Medical Technicians, the Certified Nurse Assistants, and the housekeeping staff are like family to us. They not only provide excellent care to the residents but they provide a loving, personal environment for the residents and their families. The facility is very secure to provide a safe environment but it also has a beautiful courtyard and screened in sun room which allows the residents to take walks on the paved walkway, plant flowers, fly kites, and enjoy the sunshine. The staff also encourages residents to participate in games, exercises, and simple tasks to stimulate their minds and to be successful at familiar tasks. There is a kitchen for the residents to help make cookies, brownies, and other treats. There are evening activities such as Family Night so that residents can enjoy a special evening with their family members. This facility is about 1 year old and is beautiful. The rooms are comfortable and feel like home. There is a beauty shop for hair care, manicures, and pedicures. I am so thankful that we selected Briarview for my mother and am so grateful for the entire Briarview staff! Beautiful facility. Spacious rooms but the very best part? The Memory care Dorector and the Avtivity Director oh have so much love for my Dad and all the residents!! These wonderful women treat him like family. Love the care and attention thus far! Dad enjoys gardening and bowling and discovers new opportunities weekly! I liked that Briarview had three levels of care. The lady who does the sales was very knowledgeable and helpful. We liked the location, and the price was reasonable compared to everything else we've looked at. You get meals included, and in assisted care you get a lot of different help. In assisted living, they serve three meals a day and you can eat any time. If you're in independent, you get two. The lady at Briarview was very nice and all my questions were answered. She even had her help services person get in touch with me about my other questions, so it has been thorough. The place was new and didn't have many clients yet, which is a good and bad thing. The rooms are apartment-type. Briarview was extremely nice. It's like a hotel. They were extremely professional. I was looking for respite care, but they didn't have that. I was thinking I should go stay there myself. I saw the cafeteria, the dining room, and the rooms. Everything was topnotch as far as quality. The staff member who showed us around was very good. 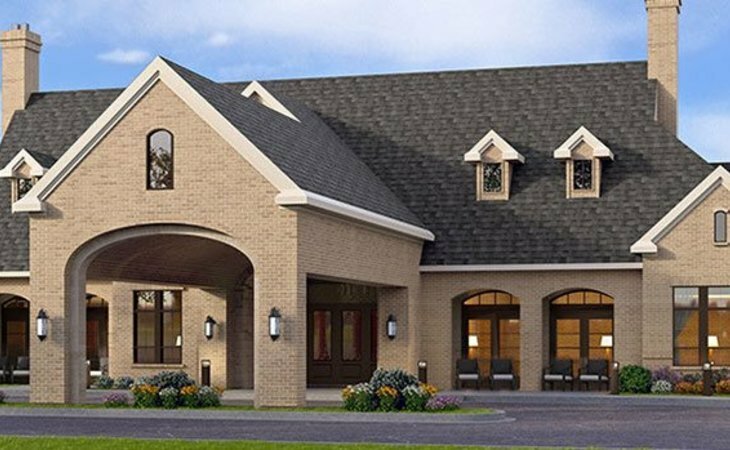 Briarview Senior Living is located in the heart of Carrollton on a corner location, close to shopping and easily accessible. Briarview assisted living is in a residential environment with care close at hand. We offer 24-hour support and 24-hour access to care while privacy and independence are encouraged. Briarview develops a personalized plan to meet medical needs, while providing the freedom to continue to be independent. Our assisted living offers convenient dining options as well as medication management, daily assistance, transportation, and common areas for social and recreational activities. What should caregivers and potential residents know about Briarview?